Cannery Row is one of the most historic areas in Monterey, a popular destination for wine tastings, shopping, and exploring. 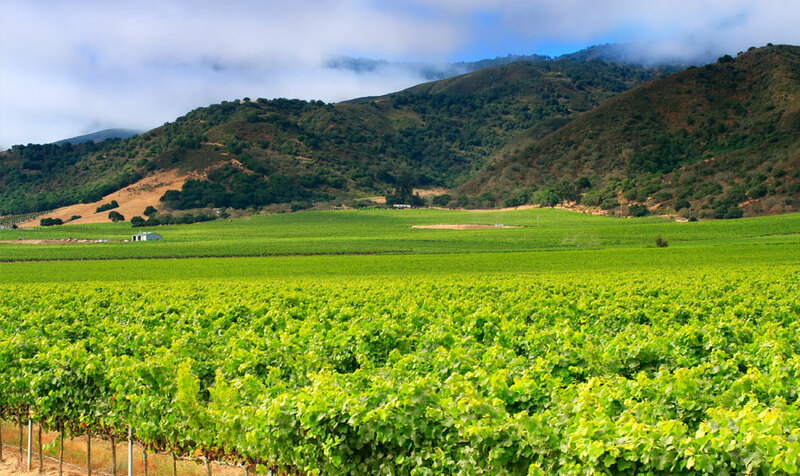 Plan a Monterey wine tasting tour to sample outstanding wines from the area and learn about the history of Cannery Row. You’ll find four tasting rooms in this area, each with its own rich history and interesting stories. The Taste of Monterey Wine Market & Bistro has a tasting room at 700 Cannery Row. It also serves food and offers beautiful views of the Bay, making it an attractive option for travelers who want to enjoy a relaxing meal by the water and enjoy Monterey County wines. Bargetto Winery is located in the seaside town of Soquel near Santa Cruz and has been producing wine since 1933. You can take a winery tour and settle in for a fun and informative wine tasting in the Bargetto Tasting Room. The Carmel Ridge Winery is a small boutique winery with a cozy tasting room that opens daily at noon. If you just want to relax and enjoy a few hours of good conversation and people watching, make your way to this winery in near Santa Cruz. The Pierce Ranch Vineyards tasting room is just a few blocks from the main hub of Cannery Row so it’s a great place to unwind after a day of shopping and exploring. Most of the wines here come form the San Antonio Valley in Monterey County and you’ll be able to sample several unique blends. Guests of the Inns of Monterey can enjoy a Monterey wine tasting tour and easy access to Cannery Row in any season. Our hotels provide an intimate setting and distinctive hotel experience for a romantic getaway or relaxing family retreat in Monterey Bay.